“An economist is a man who knows a hundred ways of making love but doesn’t know any women.” Art Buchwald. You might not have studied Economics in school or College. You have studied Derivatives and Integration. The reality of our education is most of us who have studied Derivatives and Integration never used it throughout life. But we daily use economics laws. Mostly without our knowledge. Accounting students in college are told what they learn in college is quite different than practical accounting. We all know what practical accounting is. Till the time our education system meets real life PRACTICAL system, we have to live with it. So, let’s move on. Be that as it may, today we will know two important Economic laws which you are using in your daily life. Knowing the laws would be helpful in dealing with day to day Economics. Handpicked related post: Economy, Union Budget, and Your Ignorance. What You MUST Know? How much demand will go up or down if the price of the product is reduced or increased? The elasticity of demand is the responsiveness of the quantity demanded of a commodity to changes in one of the variables on which demand depends. In other words, it is the percentage change in quantity demanded divided by the percentage in one of the variables on which demand depends. If the price of the house goes down by 25% there may be an increase in demand. If the price of air flight goes up there will be a reduction in demand. By what % the demand goes up or down vis a vis the price is known as the elasticity of demand. There are certain product /services, their demand has hardly any impact on price. Suppose the price of Local train ticket in Mumbai goes up there won’t be any drop in the demand. Similarly, if the price goes down then also there won’t be any increase in demand. This is known as inelastic demand. Companies and Govt use this principle to determine the price of the product and services. When at the yearend companies want a higher sale, they drop the prices. We see crowded shops and malls during seasonal discounts. Recent phenomena of dynamic pricing are about using this principle. Uber or Airlines, do demand analysis and adjust their prices. In rush hours/vacations season when the demand is high, elasticity drops. More people are chasing limited services. This gives the opportunity to up their prices. In lean demand period, they drop their prices to generate more demand. Since the demand is elastic, they get more business. Usually, necessity products have less elasticity as people will buy irrespective prices. People will not buy extra if the price goes down. They will also not reduce consumption substantially if the price goes up. They will cut down the consumption of their nonessential products. This means demand for nonessential products will change in response to the price change of the essential product. Luxury items have more elasticity. If the prices go up people will reduce buying and if the prices come down, people will buy more. Amazon and Flipkart sell huge white goods, luxury items with a reduced price. The subject and its applications are vast but for our limited understanding of the basics, the concept is explained above. 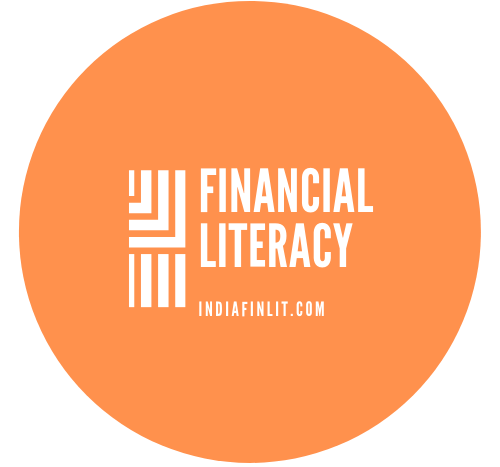 Handpicked related post: Why Is Financial Literacy for Women Critical? This is very simple. If you like Chocolate, the 1st Chocolate will give you the highest satisfaction, and with every subsequent Chocolate, your satisfaction will go down. After 10th Chocolate, you want to stop and starts disliking the next Chocolate. The utility of Chocolate you had for the 1st Chocolate is no longer the same for the 11th Chocolate through the Chocolate is of the same taste. The additional benefit which a person derives from a given increase in the stock of a thing diminishes with every increase in the stock that he already has. This law is universally applicable in everything we have. Whether it is satisfaction from the number of cars you own or satisfaction your favourite food offers. Marketers know this. This is why they increase the discount for more quantity. They know after a certain quantity your utility will be diminishing so they give an attractive price so that you buy even if your utility is lower from the additional purchase. Why you rarely get a discount for the 1st product. Because they know your utility is highest from your 1st buying. Usually, the discount starts with buy 2 get 20% off and buy 3 get 40% off. They are using the law of DMU to sell more. This video offers a simple explanation of this interesting law of Economics. There is an exception. The more money you have up to a point your utility keeps increasing. But after a certain level when you have enough, you become careless about your spend. This is DMU in action. This means DMU triggers at a different point for different things. For money and liquor, it might trigger at a later point but saturation does take place and utility does start giving diminishing satisfaction. The only exception is our WhatsApp forwards. Daily 100s of forwarded messages keep coming to us and yet every morning we are waiting for some more. This is Economics for you. “An economist is a man who states the obvious in terms of the incomprehensible.” Alfred A. Knopf. Hope you have understood these two laws. We will learn more laws in the subsequent posts. Don’t forget to subscribe. If you like is share it is a psychological law. ‹ PreviousWhy Do Entrepreneurs Need to Save for Personal Obligations?